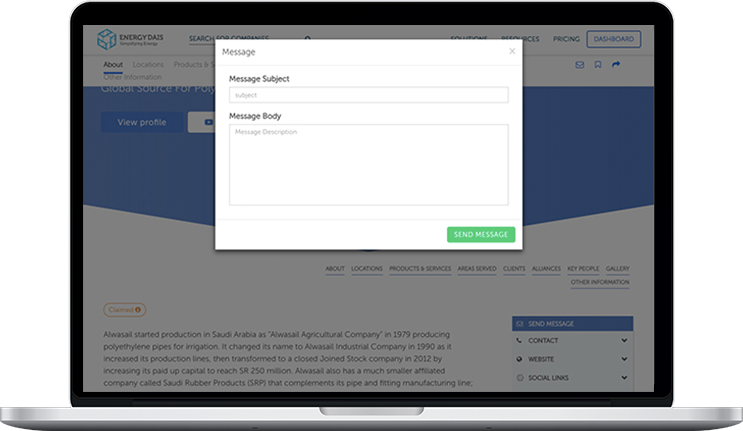 A smoother and faster way to connect with the verified suppliers! Energy Dais has been extremely reliable and transparent when it comes to securing the right quotations from verified suppliers. As an Oil and Gas professional, I think this could be of great help to the buyers across the industry. Finding verified and qualified suppliers in a short span of time in such a vast industry is a huge challenge indeed. I’ve been an active member of the oil and gas industry for many years now and I must say that Energy Dais’ offerings are unparalleled. Especially the RFQ services are of great help. 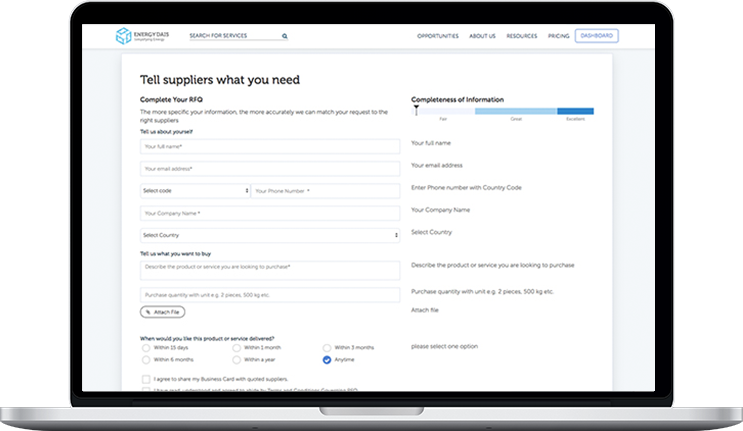 It not only allows you to find the right suppliers efficiently but also assists you in selecting the best one, saving your cost and time. Request from an unverified email: The RFQ submitted from an unverified email address will not be accepted. Get the email verified before posting an RFQ. Miss-out on important information: If the RFQ lacks key details like product name, product description, product quantity and delivery details, it will not be accepted. Banned or restricted products: It also includes trademarked/branded products. It is highly recommended to confirm with the authorized distributor/owner for the trademarked products. The RFQ containing any banned or restricted products will not be accepted. There are many reasons which might lead to the rejection of your RFQ. In case your request has been dismissed and you are unaware of the reason, kindly send us an email at support@energydais.com. The email must include all the credentials of your RFQ because it will help Energy Dais assist you instantly for the further process. Are the suppliers quoting, verified? Yes, the suppliers quoting for the RFQs are verified and are actively engaged in the oil and gas industry. If any supplier wants to quote for the RFQs submitted on the platform, they are required to sign up with Energy Dais. The sign-up process of the company includes manual verification as one of the very important steps. In manual verification, the sales executives of Energy Dais personally get in touch with the suppliers and verify their authenticity. How do I check the status of my RFQ? If you have chosen to be personally assisted by the team of Energy Dais, you will be updated on every progress related to your RFQ through emails. The team will keep you posted on all the responses and quotes on your request and will inform you if any further actions are required to be taken from your end. If you have already signed up with Energy Dais, you can access the progress of your RFQ through your dashboard. 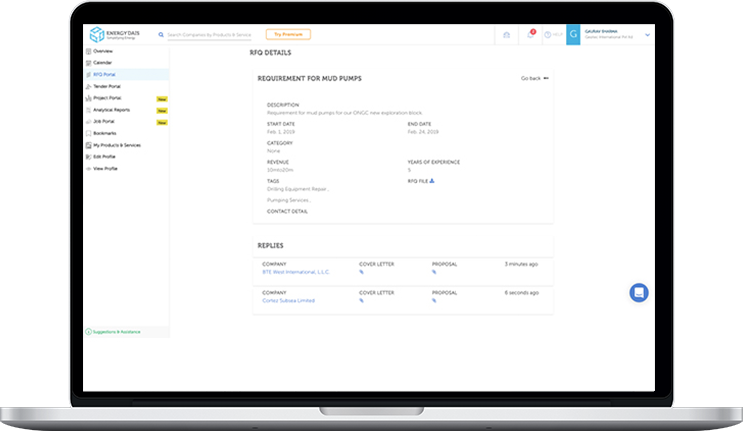 The dashboard enables you to track your RFQ and check the received quotes. How do I close an RFQ? There is no automatic process to close an RFQ. Once you have received all the quotes, the closure of the RFQ is necessary. So, when you decide to go ahead with the procurement process with your chosen supplier, make sure you take that RFQ offline. How to receive an RFQ? Whenever any requirement is posted on the platform of Energy Dais, it automatically becomes visible on the dashboard of the clients. Furthermore, all the information is sent to the clients through emails. In order to receive relevant RFQ updates,	sign-up with Energy Dais and avail all the related facilities.